Hello everyone! It looks like fall is here. The combines are running and we are having some cooler weather. 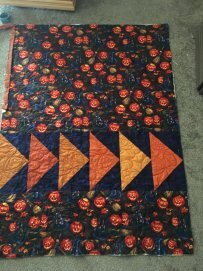 Makes me think it's time to SEW! We have a lot of FUN stuff coming up for you to do. The Strips to be Square Retreat is almost FULL! Sept. 21. LATE fess will apply AFTER Sept. 21. 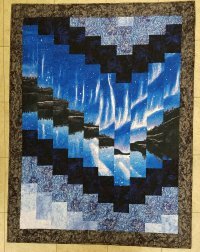 This quilt will be approximately 43" x56" depending on your panel size. Have you ever wondered how to use a panel? 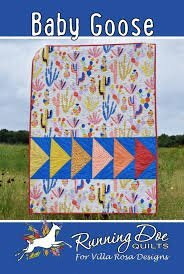 Come make this fun quilt to learn! Our Sewing 4 Dummies classes are beginner friendly, but they are also fun for an experienced sewist. 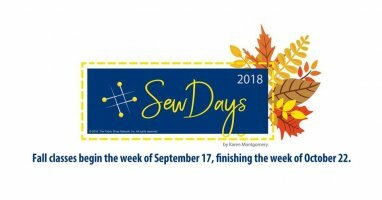 Sew Days will be returning for Fall....and we are going to extend it beyond the 6 weeks with our BONUS Sew Days classes. We are adding 3 more FUN classes! Tuesday evenings are going to be BUSY here for awhile! 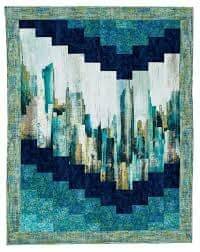 We are offering the "original" 6 Sew Days classes, and we will announce our BONUS projects soon! Pattern & supplies are extra. If you have the pattern already then you won't have to buy a new one- just fabrics. You can pick and choose which classes you want to do. You do not have to do all of them. 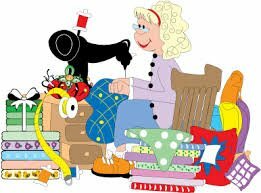 We are offering use of a sewing machine at no extra cost on a first come, first served basis.